If you want to turn your Samsung flagship into a desktop computing experience, the DeX Pad is the most obvious choice. The accessory that was launched on the market to improve the productivity of those buying Samsung's top-tier phones is now on sale for half of the original price. Amazon has a deal on the DeX Pad that discounts the U.S. version of the accessory by 47%, but only for a limited time. The DeX Pad is fully compatible with the following Samsung smartphones: Galaxy Note 8, Galaxy S8/S8+, Galaxy S9/S9+ and Galaxy Note 9. The DeX Pad includes multiple connection ports and features fast charging when Fast Charge mode is selected and using the wall charger that comes in the retail box. Also, the accessory embeds a built-in fan to keep your phone cool while fast charging. 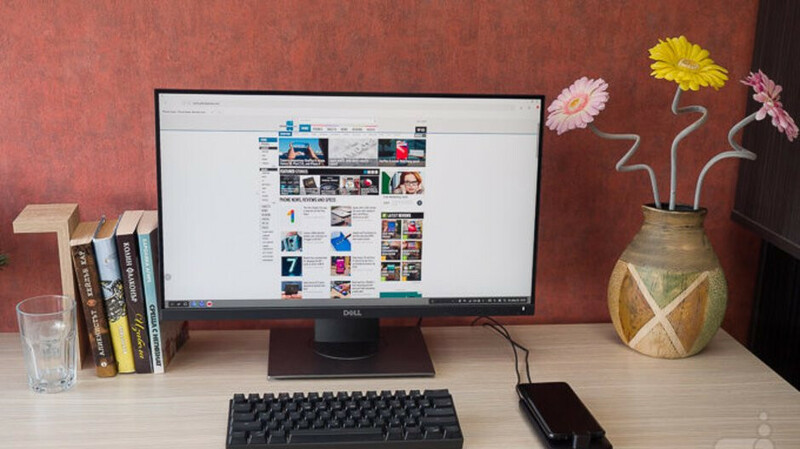 You can even connect a mouse or keyboard for even more productivity or simply use the phone's screen as a touchpad. Keep in mind that the DeX Pad is not compatible with non-Samsung devices, so don't buy it if you don't own a Galaxy S8 or above phone. I think the Note 9 doesn't require the DEX pad but rather just the HDMI adaptor instead. It probably still works on the pad although the adaptor is usually cheaper. Yes that's true, you dont need the DeX for the Note or S 9's, but it makes using DeX easier. Because if you just use. USB TYPE C TO HDMI adapter, you will need a bluetooth keyboard and mouse, which are very scare now, as most of those are now 2.5ghz option. But with DeX Docks, or some 3rd party docks, they have USB ports. I bought a DeX doc which has 2 x USB 3.0, 1 x USB Type C, 1 x microSD, and 1 x SD slot along with 1 x HDMI for just $30. Didn't cross my mind just how much more the DEX pad offers, thanks for that. Yes, I use the pad with my Note 9. I prefer it, it fast charges the phone while using it, and has a fan to cool the phone. Nothing beats the functionality the pad adds.